Who goes to the library to eat their dinner? 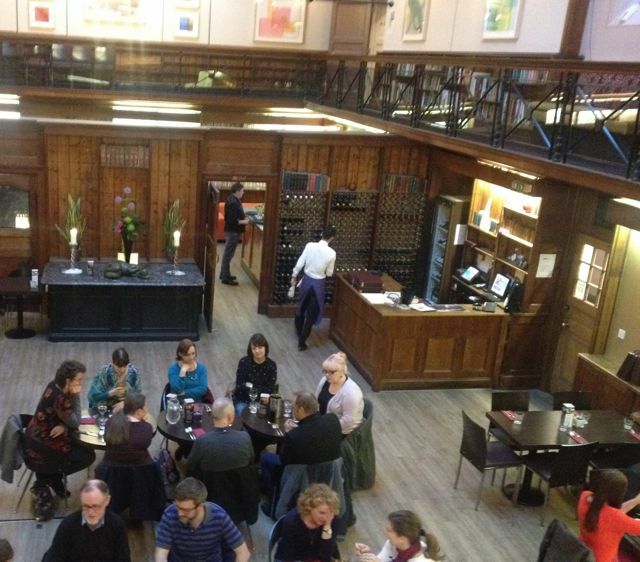 I can assure you that this library not only has shelves of books, but serves superb wood grilled food in the very centre of Norwich City – it’s my new favourite venue for a client coffee meeting or equally for dinner with friends. 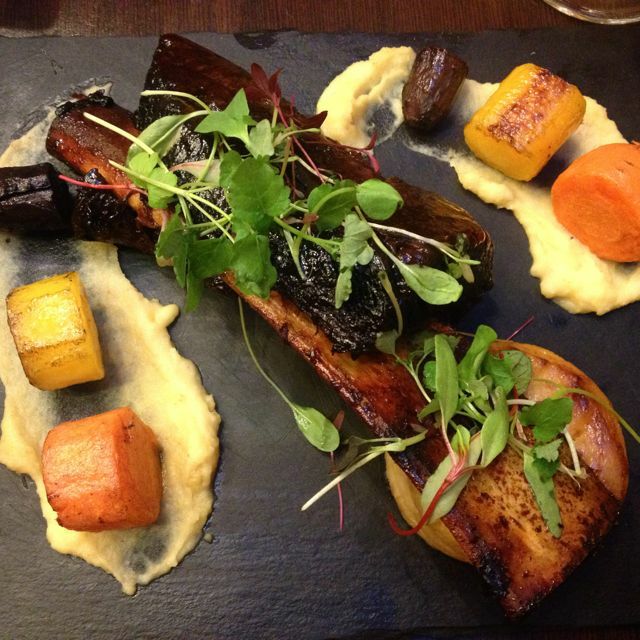 The Library is the only restaurant in Norwich with its own wood grill, burning through 4 tons of local fruit wood each and every week – if you’re looking for a tasty and sustainable meal, this is a great choice. This atmospheric venue used to be decorated with pea green walls and plastic-covered shelves, but has since been revamped in a modern, elegant manner to create a relaxed vibe during the day (almost church like with its high ceilings and colourful artwork adoring the walls) and a romantic candlelit atmosphere of an evening. 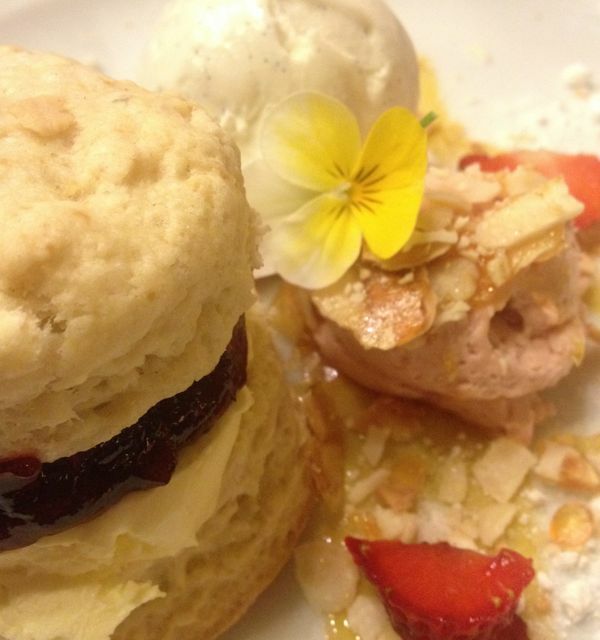 With free wifi on offer, afternoon tea options and a tapas-style lunch menu on the tables, this is the perfect venue for a light bite or a pre-event meal when visiting the City. The owners, Nigel & Jayne Raffles are the masterminds behind local restaurants such as St Benedicts Restaurant, Pinocchio’s and the Pulse cafe bar and their passionate team are very much part of the family. Nigel, having previously worked at La Gavroche, loves charcuterie work, making his own sausages for this meat-rich menu and the care that goes into the seasonal specials is well thoughout. The Norfolk and Norwich subscription library was formed in 1886, with the original subscription fees being £1.00 for ladies and £2.00 for the gents. In 1898, a fire broke out on Dove Street, reaching the library within just an hour, gutting and destroying the interior and contents of this building. It was later restored at the cost of £1,719 and reopened in 1914. 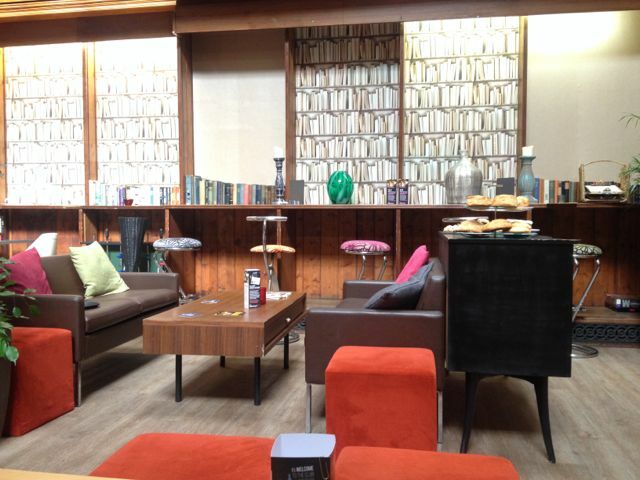 The library has encountered a new revamp with the last few years, boasting original features and a slightly different way of enjoying the mezzanine views whilst tasting some deliciously tempting food and drink as you do. The Library also have two stunning private dining rooms, up to 30 people seated or 60 people buffet style, which are perfect for smallish gatherings, even a small wedding celebration. To look up from the main street below, you’d have no idea these beautiful rooms within a Grade II listed building were even here, just amazing. 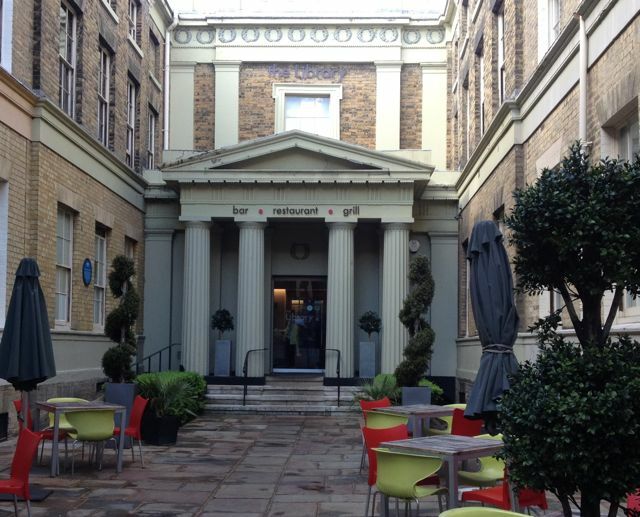 I have actually visited this venue twice in recent weeks, once with a group of friends on a night out and once with my bearded friend for a relaxed evening meal – both times were very different experiences. With friends, it felt very relaxed, we had pre-booked our food a few days in advance to ensure a quicker delivery and I had enjoyed a rare Sirloin steak with a pint of Redwell Steam. With the bearded one, it felt a lot more intimate at our table of two, with a buzz around us, as well as below us. It still felt like there weren’t many people around us – the tables were spaced perfectly and we didn’t feel “on top” of other tables, it’s an equally great venue for a date night. There’s so much on the menu, with much of it being gluten free too, so we decided to order various dishes on our own date night so that we could dip in and share a few of our favourites. 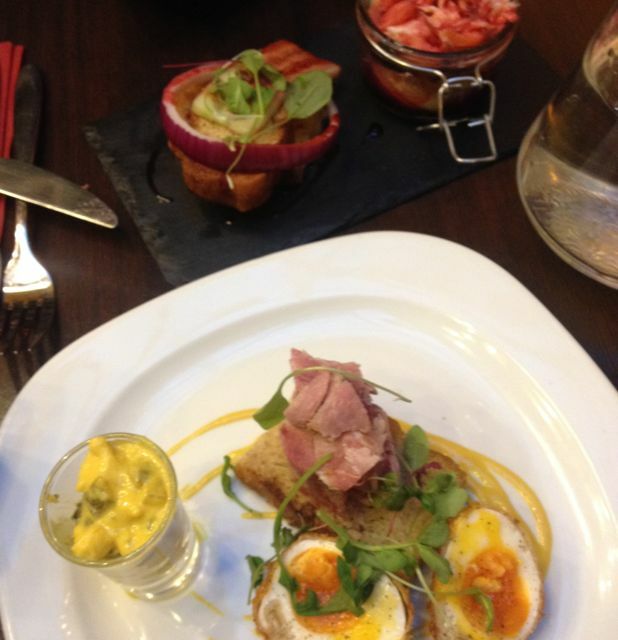 For starters we went for the crispy poached egg with ham hock terrine, piccalilli purée and pea shoots (£6.50) and the “Whiskey in a Jar” home smoked salmon (£6.50) with Beetroot coulis, marinated cucumber and croutons. The whiskey was a little strong for my liking, but I’m not big on this particular drink personally. 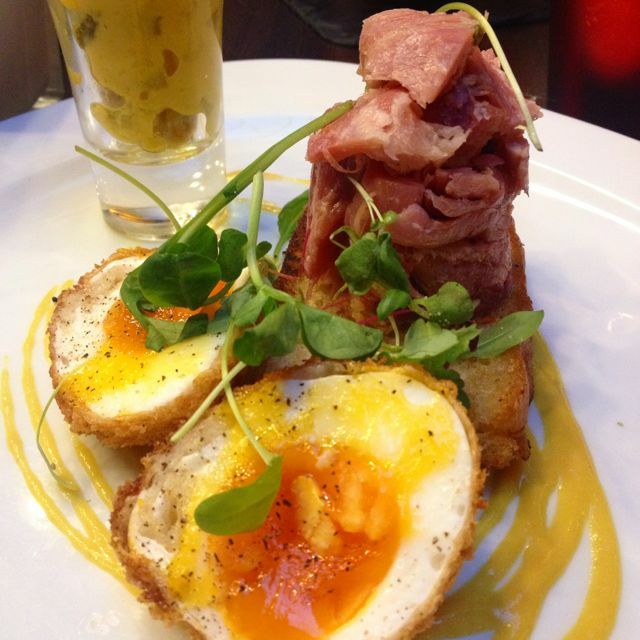 The poached eggs, however, were soft in the centre and my fave starter of the two, it was actually a fairly large starter, so be sure to make room for your main if enjoying this one yourself! Again, we shared our mains…too many to choose from not to try a few options if you love your food! They serve everything from wood grilled salmon fillets, steaks, ribs, lamb chops, even mussels or burgers, as well as vegetarian options – it took us quite a while to decide on our order. We chose the “Juicy Lucy” mozzarella stuffed burger with caramelised onion, chunky hand cut chips and large crispy onion rings (£12.95) as well as the coffee smoked beef rib with fondant potato, celeriac & rosemary purée and glazed carrots (£13.50). 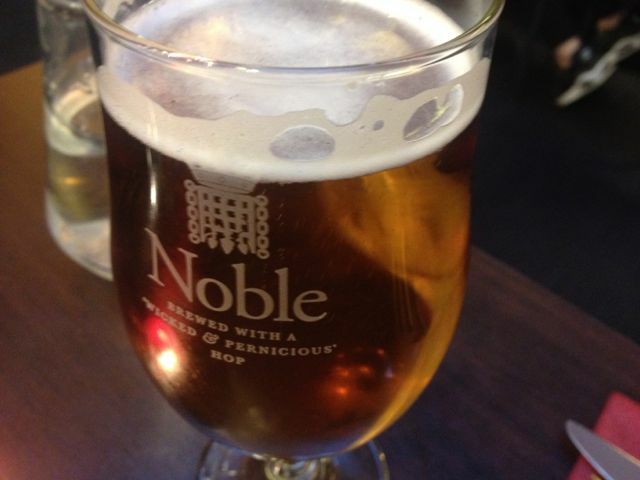 I was told that a pint of Noble which went perfectly with my meat feast – I do like a pint, I must admit. The meat served here is locally sourced through P.J. Roofe catering butchers, the fish through Sam Cole Fish Merchants and Howard & Son Fishmongers and the fruit, vegetables, herbs, dairy, pulses & nuts through Peter Easters fresh fruit and vegetables. Everything, where possible is locally sourced and hung, ensuring that their suppliers are just as passionate about the food as the team here at The Library. If you like a cocktail or two, then why not take advantage of their 2 for 1 offers every day between 5:30pm and 7pm – Espresso Martini anyone? With the likes of “Spoon” playing on their playlist, I’ll be heading back there very soon – this is a favourite band of mine, an American band who neither of us had ever heard being played in the mainstream… or within a restaurant before, both nodding in excitement to it as we dined! Our fantastic waiter smiled, admitting it was his own personal playlist of which we loved, this is a restaurant with personality and attention to detail. Please note – This visit was complimentary following an invitation to view this venue and meet the team. I am in no means obliged to blog or write about their offerings, but I simply choose to share with my readers, should I enjoy the experience. The service team that work on the day or duration of my visit are not aware of my reasons for visiting, to enable a fair review. You can also read about Miss Sue Flay’s “Around The World In 80 Stays Challenge” here. If you liked this video, you can view my other video reviews here!